Gmail Enterprise Users: This month is all about Touchpoints. 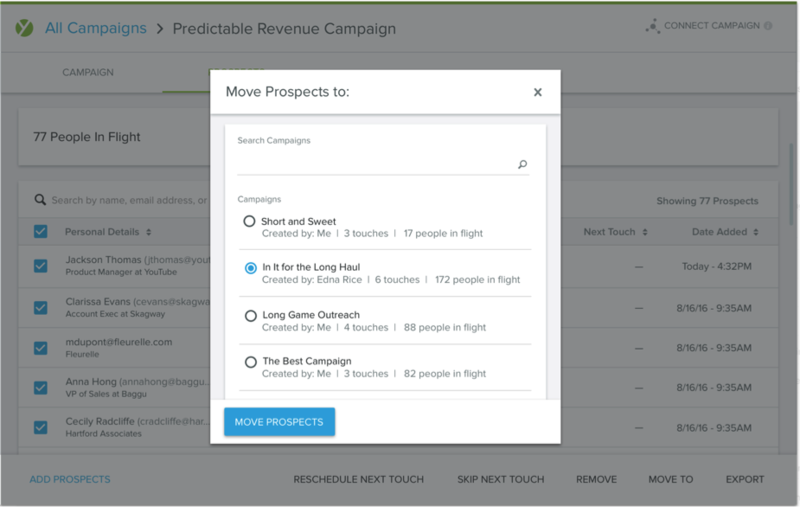 We have two new features that will help you keep tabs on prospects: 1. the ability to move prospects to different campaigns and 2. icons that show recipient interactions. In case you missed it, we’ll also recap Touchpoints out-of-office detection and nurture campaigns from last month’s update. Not a Yesware user? Contact Sales to check out Touchpoints. Until now, moving a prospect to a different campaign meant pausing the current campaign and uploading the prospect to a new one via .CSV file. It helps you keep fast tabs on prospects, showing each call connect you’ve made, as well as email clicks, opens, and replies from recipients, and any automatic out of office replies you’ve received. Summer is a busy time, so we thought we’d recap two great Touchpoints features that we released in August in case you were on vacation when they were released. One of the most-requested features we heard from Touchpoints users was out-of-office detection, so autoresponders didn’t automatically bump prospects out of campaigns. 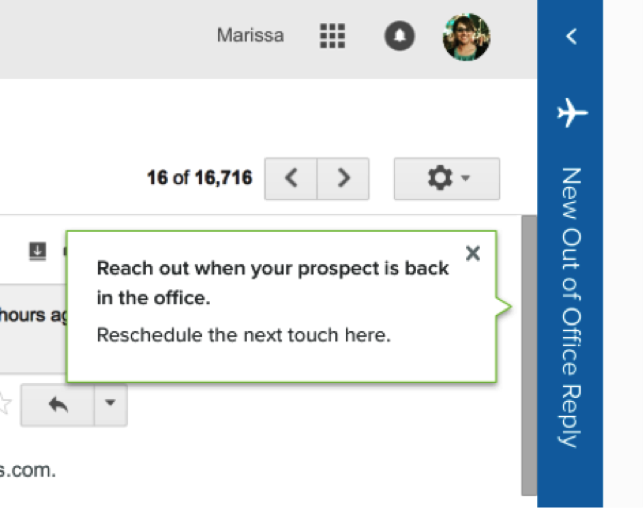 Touchpoints now automatically detects out of office replies and keeps your prospects on Connect campaigns (where a goal is the reply — see update 2 below). When we first released Touchpoints last year, we treated all campaigns as though the goal was to connect. But, that’s not always the case. So we build out a new type of campaign to recognize this other scenario. 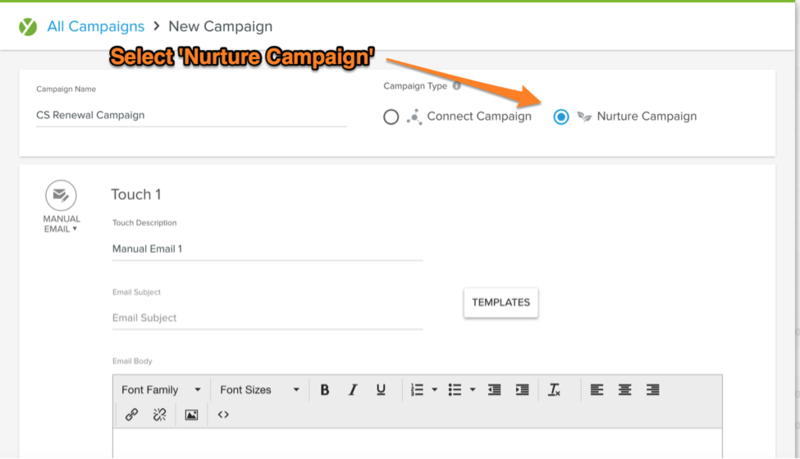 Unlike Connect Campaigns, Nurture Campaigns keep recipients on the campaign even if there’s a reply or a connect through a channel outside of email. Pro Tip: Use this type of campaign for onboarding emails, training, and renewal nurturing. Stay tuned next month. We have more updates coming up that you’re going to enjoy.